Are you known for bringing the drama? 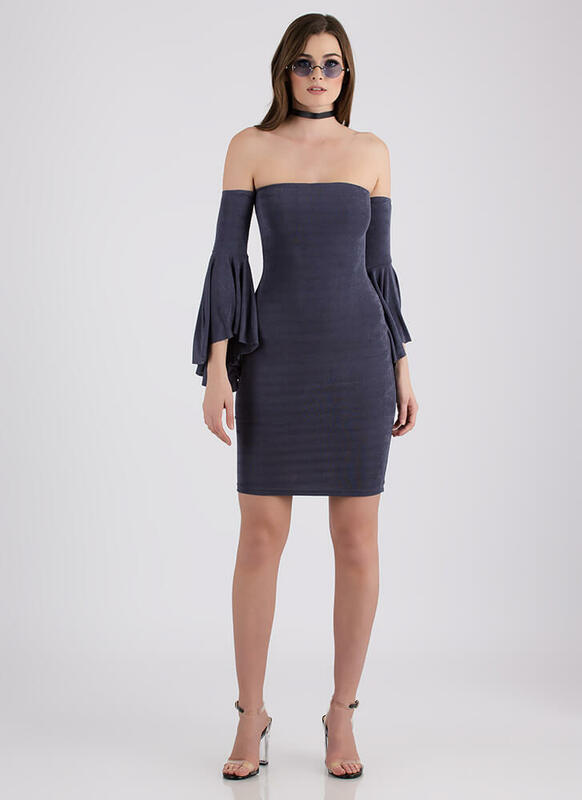 This dress should help you keep up that reputation. 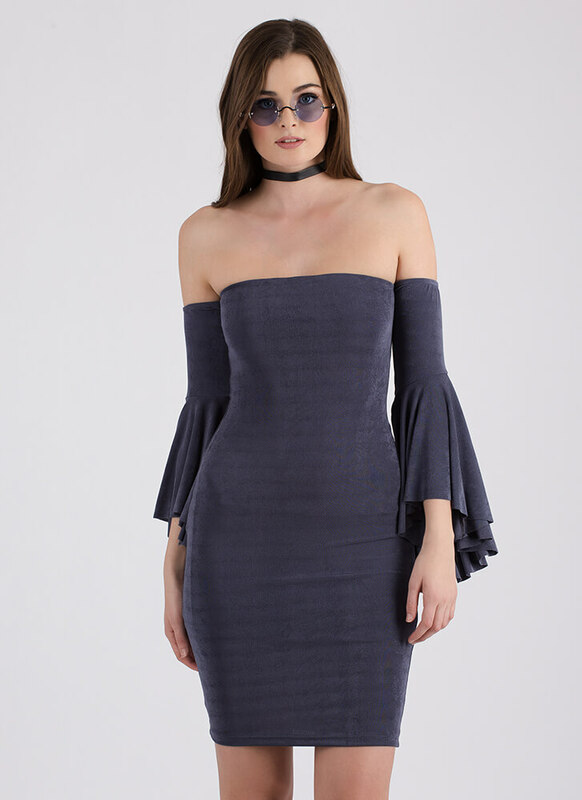 Stretchy, lightweight, off-the-shoulder midi dress features long bell sleeves that flare out extremely into wide, dramatic ruffles. Dress is finished with an elasticized bustline and no closures.